This chapter considers the development of generalist and specialist palliative care practice and the emerging understanding of respective competences, roles, and responsibilities. Evidence relating to the effectiveness of partnership working and factors promoting (or hindering) collaboration are reviewed. Specialist and generalist palliative care practice are critically appraised through the lens of models of care. The question of whether research to date has adequately examined areas of commonality, separation, and overlap is posed, and the resultant implications for optimal palliative care practice are studied. An overview of research in the field of integrated care is provided, and it is suggested that consideration of integrated care frameworks offers opportunity for greater conceptual and methodological clarity in the design and implementation of palliative care interventions and models of care. Worldwide ranking systems of specialist and generalist palliative care are reviewed, and variability in developmental stage between countries is highlighted. 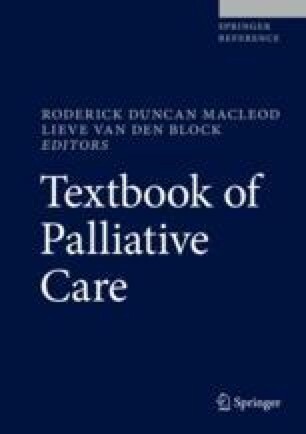 The chapter concludes that research in palliative care practice arguable remains largely siloed, considering either generalist or specialist palliative care interventions separately and failing to move to a space where consideration of the “whole” might be more advantageous than considering the sum of the parts.